A brooch decorated with miniature wire beaded flowers and leaves. 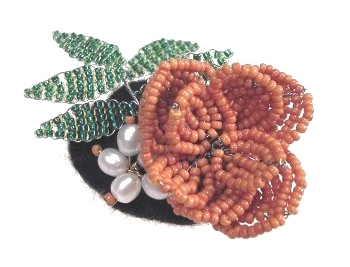 This brooch also has a small flower made from seed beads and pearls. The techniques for making this style of jewellery and flowers is covered in my Miniature Wire Beaded Flowers Class.